We are offering Hose Pipe Winder to our client. 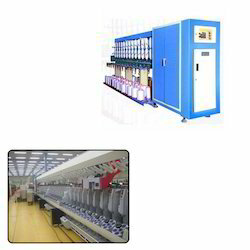 - Most-economic for dedicated production of a specific yarn type & denier range. - Wide range of Cops Bobbins can be created from the available model. 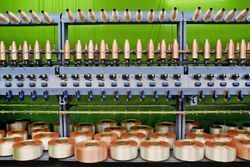 - Only Filament yarns can be wound for processing. - Only Bi-Conical shape can be set with mechanical adjustment for length & shape. Whatever your Cops Winder needs be, WEAVETECH has the best value solution. Traditionally the core competency of WEAVETECH lies in its ability to understand specific customer needs & respond to satisfy those needs with highly customized solutions. The result is world’s largest range of TFO Twisting machineries to offer you the best possible value out of your investment. We offer Cops Winder for our clients. - Powder coated frame structure. - Suitable for 210 to 320 mm length cops. Spindle Drive Motor: 48 to 72 Sp - 3 H.P., 84 to 96 Sp - 4 H.P. Pioneer in this industry, we are engaged in providing a high-quality range of Mechanical Cops Winding Machine. Being a leader in this industry, we are devoted towards providing a premium quality array of Cops Winder Machine. Cops winders having two models visible mechanical and plc based are giving full satisfaction to our valued customers.